"The name ‘Garvan’ is synonymous with high quality research"
Garvan is a truly exceptional workplace and I’ve been privileged to spend seven years here. I started my doctorate research at Garvan shortly after arriving in Australia, and as a young, eager graduate from Bulgaria I was swept off my feet by the vibe here – the inspirational staff and exciting, buzzing atmosphere were amazing, not to mention the quality of the researchers, whose dedication towards finding a cure for diseases burdening our society is truly humbling. Garvan has not disappointed me ever since. This is a friendly place with an incredible work culture, where sharing and mutual respect are the norm. The name ‘Garvan’ is synonymous with high quality research and I believe this reputation and Garvan's aura of prestige has helped me to obtain a number of scholar awards. 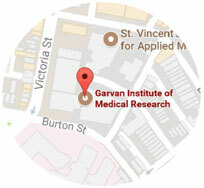 "Garvan has many world-class facilities"
The choice of coming to Garvan was easy. 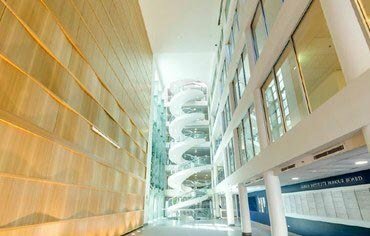 Garvan has many world-class facilities and is the largest and most successful medical research centre in NSW. The Institute’s greatest asset, however, is its scientifically and culturally diverse research community. My arrival at the Institute in 2000 coincided with the establishment of a brand new Immunology Research Division and the first acquisition in Australia of the Affymetrix gene array system. As a PhD student at Garvan I was supported through interactions with colleagues in weekly lab meetings, institute-wide seminars as well as regular get-togethers with other students. It was a productive and exciting time during which I developed my passion for immunology. This set the course for my future scientific career. Garvan has since become one of the strongest immunology research centres in Australia which, together with the establishment of a state-of-the-art two-photon microscopy facility here, made the Institute a great place for me to build my own research group. 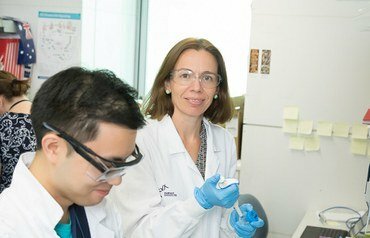 Garvan supports my research endeavours by providing training in skills that are essential for leading a successful lab, including grantsmanship, mentorship and leadership skills. I look forward to continuing to advance my research and growing my lab here. 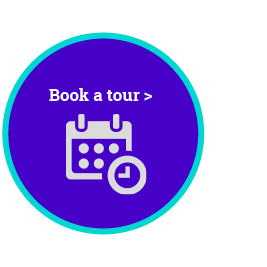 "I've found the staff here really friendly and helpful"
I recently joined Garvan and I've found the staff here really friendly and helpful, they’ve really made me feel at home here in Australia. As a bioinformatician, it’s really exciting to join Garvan as it gives me the opportunity to access world-class facilities and a large group of bioinformaticians with diverse backgrounds and expertise in various fields. The opportunities for both learning and establishing collaborations will definitely benefit my career in the future. My suggestions for people who would like to join Garvan and who are coming to Australia for the first time (just like me): prepare early for the visa application, including the English language test (IELTS) and documents required for you and your family members, this will really save you time in the long run. "Sydney is a great city to live in"
I joined Garvan from Germany, after completing my PhD there. Garvan took care of the visa application process and, after arriving in Sydney, helped me to settle in Australia. Furthermore, I was helped to find an apartment and adjust to the new environment by a complementary week of leave upon arrival. In summary, Garvan made my move from Germany to Australia as smooth as possible. I really enjoy the atmosphere at the Garvan Institute. I work in The Kinghorn Cancer Centre, which is populated by a lot of young research groups and postdoctoral fellows. This atmosphere clearly facilitates scientific, as well as social interactions between researchers. Sydney is a great city to live in. Just check out the weather and photos of Sydney and Australia. The city is surrounded by beautiful beaches and national parks offering plenty of activities away from the lab bench such as a sunny afternoon at the beach or hiking in the Blue Mountains. "Garvan is very friendly and culturally diverse"
My view of Garvan is that it is a fast paced and innovative institute. Researchers here are introducing new ideas and technologies and that helps push my own research forward as I consider these ideas and utilise new technologies in my work. Further, I have found that there is often overlap in the types of questions researchers are addressing between groups and I have been fortunate to foster collaborative projects with researchers outside of my immediate group. 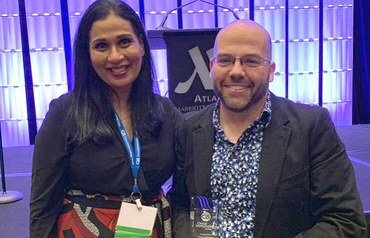 There are a number of internal funding and community engagement opportunities at Garvan, and I was fortunate to receive a Young Garvan award for early career researchers funded by the Young Garvan arm of the Research Foundation. 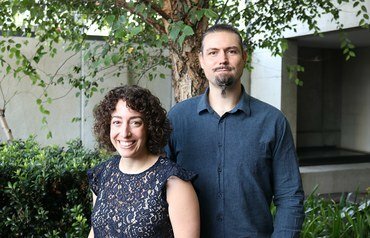 As Part of this fellowship and other work with the Foundation, Garvan researchers have the opportunity to interact and present their work to the general public. Away from research, Garvan is very friendly and culturally diverse and I have made a number of very good friends here. "There's a wealth of knowledge and experience here"
As the Garvan Institute is well recognised and highly regarded internationally for biomedical research, I knew working alongside some of these world-class scientists would greatly benefit my scientific career path. Being a multi-disciplinary institution, there's a wealth of knowledge and experience here, which has helped me to build a network of collaborations and design some ‘out of the box’ experiments. I value translational research, and therefore I see the Institute’s links with St Vincent’s Hospital as an excellent opportunity to progress research from ‘bench to bedside’. It was therefore an obvious choice for me to work at the Garvan Institute. While there are several similarities between Garvan and my previous research institution, a major difference that Garvan has is this easy accessibility to the clinic for translational studies. These collaborations between scientists and clinicians are integral and is what I believe makes a huge impact in improving general health care.